The, “Dr. Young, I am way to tired to read this now” summary here. The human infant was designed to consume a high-fat diet. Roughly 50% of the calories in breast milk come from fat…. mmmm …. Now that is Creamy! All baby formulas provide roughly that much fat as well. Fat consists of smaller components known as fatty acids. Baby formulas all contain a blend of different fats and oils to provide the infant with a fatty acid composition similar to that of breast milk. The most common oils you’ll see in baby formula ingredients are: palm olein oil, soy oil, coconut oil, high oleic sunflower oil and high oleic safflower oil, in various combinations. Fat is the most variable component in breast milk. Human Mamas make milk that is pretty crazy variable in terms of how much fat is in the milk, and what type of fatty acids are in the milk. There is WAY more variability in breast milk fat between Moms than the variability in breast milk protein or lactose content. ALSO – when Moms change their diet (think Christmas-time binge on Christmas cookies), the fatty acids in breast milk also change since they are so closely related to what fats Mom is eating. This is NOT the case for protein and lactose, which are very consistent between all different types of Moms. To me, this means that human infants are adept at thriving on a variety of different fatty acid blends in their food AND they can handle these fatty acids changing. The second reason is that fat is usually pretty easy to digest for babies. AND fatty acids don’t ever cause an allergy or immune response (like protein) in healthy babies. No one ever went into anaphylactic shock because they ate olive oil. This is NOT to belittle the suffering of the babies that are having a hard time digesting their fats – my heart goes out to you! It’s just statistically more likely to be protein that is a culprit for issues like rash and vomiting. That all said, the fat blend can be an irritant to some babies. If this might be your little one, read on and we’ll talk about what you need to know. 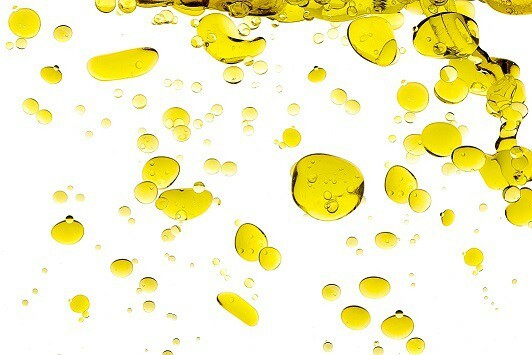 Palm Olein Oil (or Palm Oil) is often the primary fat (the first fat listed in the fat blend on the list of ingredients). This is because palm olein oil provides a large amount of the fatty acid, palmitic acid, just like breast milk fat. Despite it being so common, palm olein oil is a bit controversial. This is because the way that palmitic acid is incorporated into palm oil fat molecules is different than the way it is incorporated into breast milk fat molecules (1). (See nerd side-bar if you want more detail). The end result of this difference is that palmitic acid from breast milk is absorbed much better than the palmitic acid from palm olein oil. And that unabsorbed palmitic acid from formula does not play very nicely in babies’ intestines. Free palmitic acid can form insoluble calcium soaps in the intestine. Translation: this unabsorbed fatty acid reacts in the intestine in a way that binds calcium. 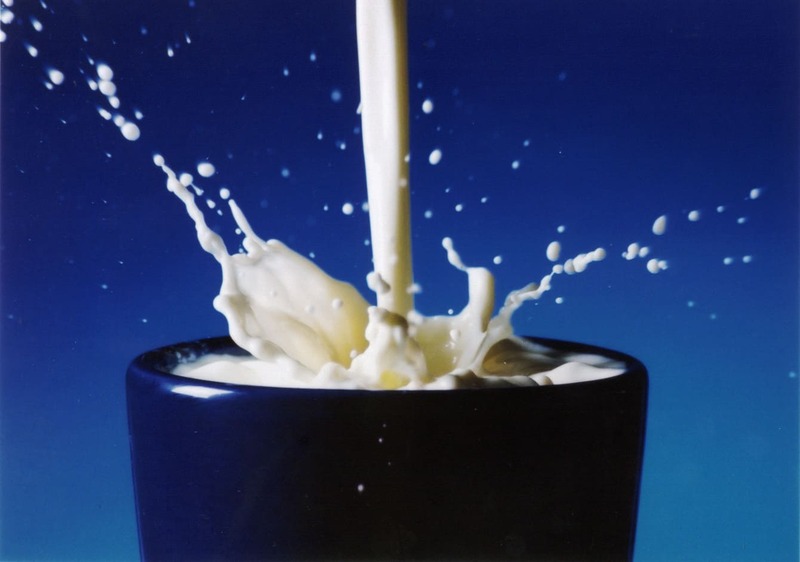 This keeps the calcium from being absorbed (it is pooped out along with all that extra palmitic acid). These soaps aren’t dangerous. But I do think they can be bothersome to certain sensitive little intestines …. which is why I’m bothering to tell you about it. In fact, there has been some research to show that babies who drink formulas without palm oil have softer stools in the fist 6 months (1.5). That is something worth thinking about if constipation is your major concern. Check out the nerd sidebar and Happy Hour video (below) I made about Palm Oil if you want some more sciency-details about Palm Oil digestion. Fatty acids in formula are assembled in a structure called a triglyceride (yeah, just like in your blood). Think a fork shape with the 3-prongs being 3 individual fatty acids. In breast milk, palmitic acid is usually on the middle prong. In formula that uses palm oil, palmitic acid is usually on one or both of the outer prongs. The outer prong is usually cleaved off in the intestine leaving that fatty acid floating around “free”. This is why palm-oil-containing formulas can cause “soaps” in the intestine but breast milk doesn’t, even though they both provide baby with a good amount of palmitic acid. Kabrita (who makes Toddler formula) has an article about this with some really nice images that provide a good visual. Several well-conducted studies have shown for a fact that infants who consume baby formulas with fat blends made primarily from palm olein oil absorb less fat, and less calcium from their formula (1, 2-6). On average, babies consuming formula made with palm olein oil absorb 40% of the calcium in their formula vs babies who consume formula without palm olein oil. They absorb roughly 55% of the calcium (1, 6, 7). This is compared to breastfed babies who absorb 60% of their calcium (8)! Is this a problem? I’ll give you some more facts, and then you can decide for yourself. First, to make up for the lower absorption rates of calcium, baby formula has more calcium in it than breast milk. So, even though the percent of calcium absorbed from baby formula that contains palm olein oil is lower, the total amount of Ca absorbed is still roughly the same as the amount absorbed from breast milk. So, all should be fine, right? Well… there was an excellent study conducted that actually showed consumption of palm-olein oil-based baby formula resulted in smaller increases in measures of bone density (both bone mineral content (BMC) and bone mineral density (BMD)) compared to bone measures of infants consuming baby formula without palm olein oil (3). That study did not have a group of breastfed infants, so we don’t know how these lower bone measures compared to bone growth of breastfed babies. So, what’s the final word on palm olein oil? Yay or Nay?? Well, it’s obviously not that simple, so here are my thoughts and you can make your own decision. First, palm olein oil is in A LOT of formulas! My suggestion is that if you have a healthy baby who was born after 38 weeks of gestation, I would not worry about it if they seem to be tolerating the formula well. Babies born earlier missed out on the last few weeks of pregnancy which is when a massive amount of calcium transfer and bone mineralization occurs. Because of this, I would not want to deprive these early – arrivals with any opportunity to grow bone. If you’re little angel was eager to be born, then I would try to find a formula that does not have palm olein oil as the first oil listed in the fat blend. This can be challenging since you are likely trying to optimize the protein and carb content of the formula first. Remember, YOU are the expert on your own baby. Whatever decision you make will be the best. Isn’t coconut oil all the rage these days? It sure seems trendy! Well, baby formula is no exception. Coconut oil is commonly one of the oils in the fat blend of many brands of baby formula. I want to make a few quick points about coconut oil. 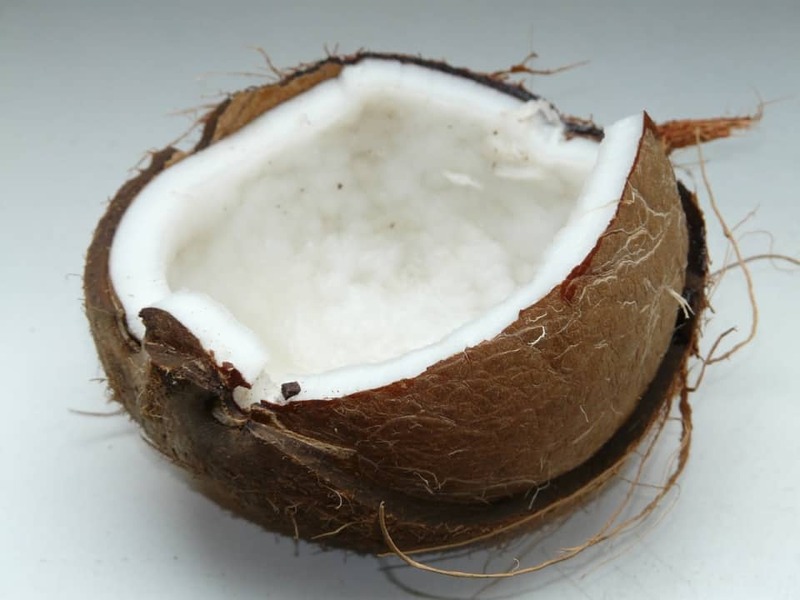 Coconut oil is a rich source of medium-chain triglycerides. This special type of fat is very easily digested and does not require energy to be absorbed. For this reason, its often used to treat people with severe malnutrition and malabsorption diseases. This is helpful to know this as a parent. Babies are very capable of digesting and absorbing all sorts of complex fats, no worries there! However if your little one exhibits symptoms of indigestion that lead you and your pediatrician to believe that she’s not digesting the fat in her formula well, it may be worth trying a different formula that has “coconut oil” further up on the list of ingredients. Remember, if coconut oil is the first oil listed, that will mean it is the most abundant source of fat in the formula. In addition, almost all formulas also contain an additional source of the fatty acids that aren’t “essential” but are thought to be beneficial. These are arachidonic acid (ARA) and docosohexanoic acid (DHA). These fatty acids are why people go so crazy over fish oil. These fatty acids aren’t considered essential because our bodies have some capacity to generate these fatty acids from other fatty acids in the diet. However, both ARA and DHA are found in fairly high (albeit super variable!) amounts in human breast milk, and help baby’s brain and eye development. While the research regarding the benefits of ARA and DHA supplementation for healthy term babies is not as strong as the baby formula companies would have you believe (9), I do recommend formulas with these fatty acids added (at least to start with) for babies under 6 months, since they are found in human breast milk. I’ll talk a little bit more about these particular fatty acids later. 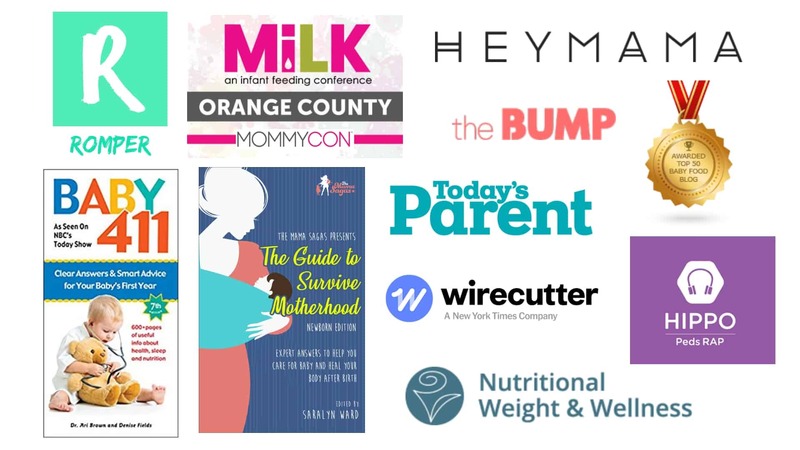 Below is a summary table of the most common name-brand formulas for healthy term babies, and the sources of fat in these formulas listed in order of percentage. 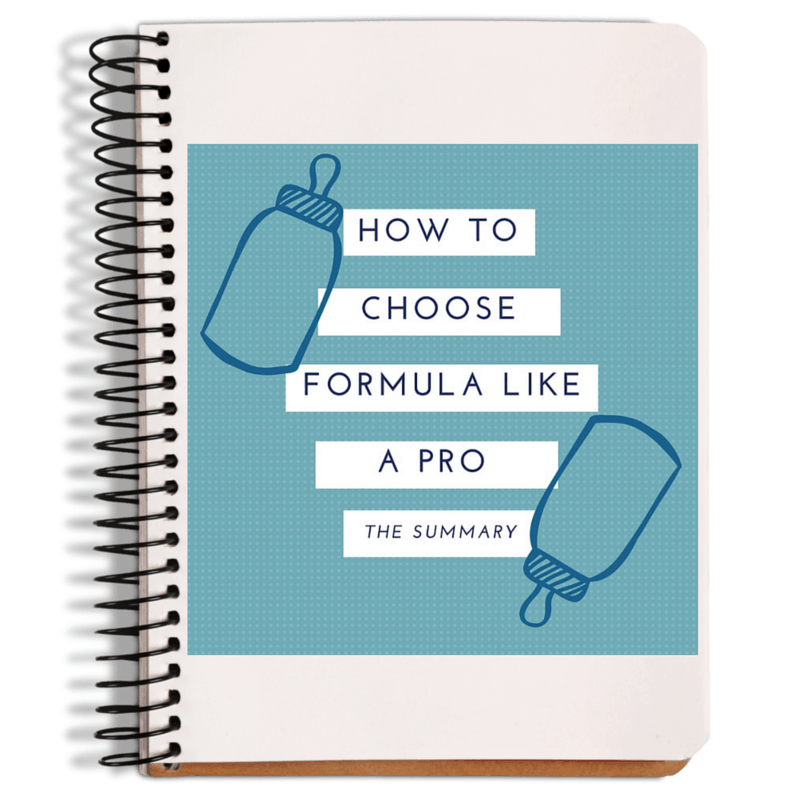 All of these formulas also add additional sources of DHA and ARA. Enjoy! That was all the major macronutrients! You are now officially an expert on the protein, carbohydrate, and fat content of baby formula… congratulations! I would guess you now know more than 95% of pediatricians on this matter. Rockin it! The fat in formula will be a blend, to mimic the fatty acids profile of breast milk. Palm olein oil results in lower fat absorption and lower calcium absorption from baby formula and may affect bone density. Palm olein oil based baby formulas may not be the most ideal choice for babies who were born early. Coconut oil contains medium-chain triglycerides which are absorbed very easily. Looking for a baby formula with coconut oil high in the order of ingredients may be a good idea for babies that seem to exhibit problems digesting fat. 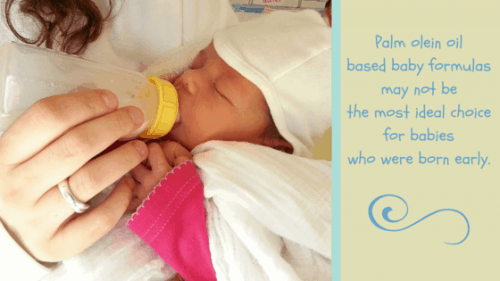 Based Infant Formula: A Randomized, Blinded, Controlled Trial. Clinical Pediatrics. 2014; 53(14):1375-1382.